Rev Christo Greyling and his team gives life to World Vision’s new Global Strategy to build strategic partnerships for greater scale and more sustained impact towards child wellbeing and achieving the sustainable development goals. He was co-responsible for the development of the Channels of Hope methodology which catalyses faith leaders to respond to difficult development issues such as child protection, maternal and child health, HIV and gender. 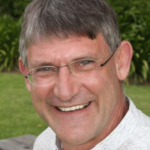 Rev Greyling is a Dutch Reformed reverend with a Masters in Public Health. He serves on multiple boards of international NGOs, and is the co-chair of “Mobilizing local faith communities’ learning-hub of the Joint Learning Initiative on Faith & Local Communities. Christo is a South African, living with his wife and two daughters in Hilversum in the Netherlands.